Bollywood’s obsession with movies based on Pakistan-India conflict is not going anywhere anytime soon. And Alia Bhatt’s upcoming film ‘Raazi‘ goes on to prove that. Set in 1971 and based on a true story, Raazi is adapted from Harinder S Sikka’s book titled Calling Sehmat. The film revolves around Alia Bhatt who will be essaying the role of an Indian spy in Pakistan. It starts off with an Indian father who finds a Pakistani suitor for his daughter Sehmat, played by Alia. He asks her to live in Pakistan and serve as an Indian spy. She is soon married off to a Pakistani man named Iqbal Syed, played by Vicky Kaushal. Syed is a Pakistani policeman who is loyal to his country and Sehmat soon shifts to the other side of the border. Before her marriage, Sehmat goes through rigorous training to train as an undercover spy. Alia has portrayed her character with intensity and that is evident in the short trailer which shows her different emotions. 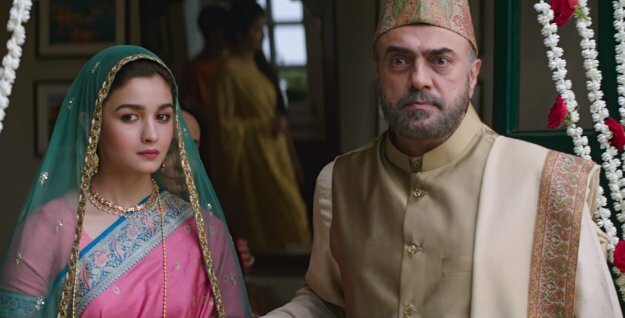 Inspired by the India-Pakistan war of 1971, Raazi is directed by Meghna Gulzar and produced by Dharma Productions. It is scheduled for release on May 11, 2018.